This feature would come very handy, indeed! 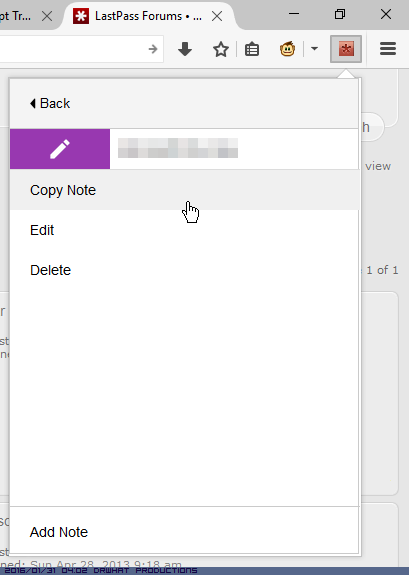 Are you sure that the "Copy Note" of an "SSH Key" secure note copies the pass-phrase of the key? 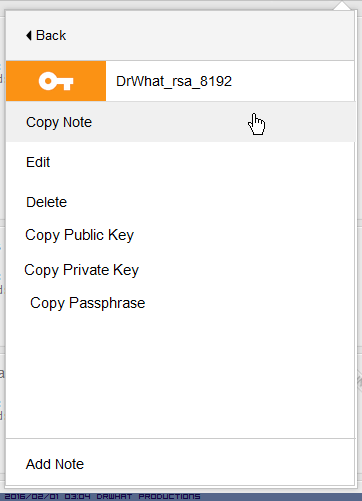 My bad, Infact just tested it, It should give you the option of ssh keys to copy the private, public and passphrase. 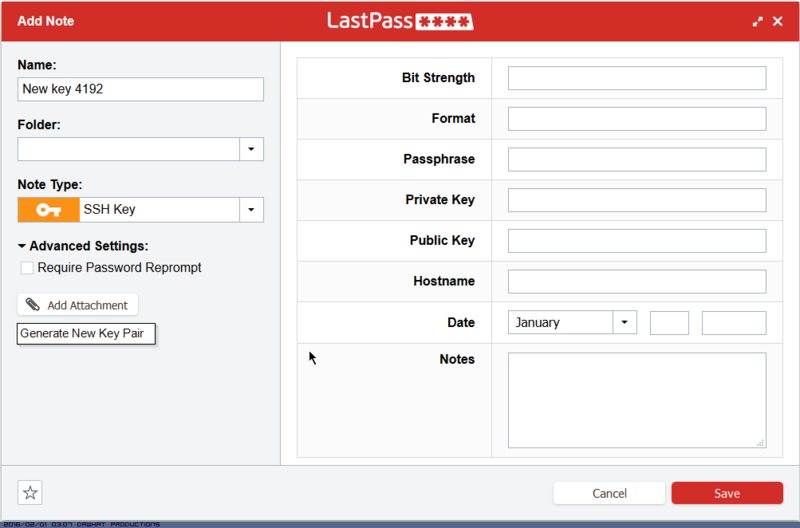 And maybe give lastpass ability to generate keys? I agree! It would be super awesome, to have "Copy Passphrase". I'd like to add a +1 to this feature request. My own thread didn't get much love. This is still a problem!! Surely this is not a big fix but it is still a problem 3 years later. Same here. Please, fix it so we can store PEM files. ogarcia Wrote: Same here. Please, fix it so we can store PEM files. You've been able to make your own custom template for some time now. So then what's the point of providing a broken template? Either remove it outright or fix it. We are talking about a straight up DATA CORRUPTION problem here!